Hi sorry, I see you’re eating, can I ask you some questions? Sure! If you don’t mind that I continue with eating? I still have to gain some kilos before I have enough fat reserves that will get me through the winter times. You know what they say, winter is coming. And then I will be sleeping for quite a while, like a kind of hibernation, called torpor. So I need to eat as much as I can. I pretty much eat everything really. You picture us always eating honey, but nowadays I also eat ants, fruits, berries, plants, small mammals and even fish. Have you seen my Canadian friends catch those salmons? I am not such a good fisherman though. Back in the old days, bears used to eat more meat sometimes. But you can’t really call us carnivores, we like to keep our diet balanced. My favourites are the ants and sweet blueberries on the mountain slopes, love it! I saw your nephews in the village the other day. Ah, your so-called experts like to call them ‘problem bears’. It is not really a surprise that they went down to the village to get something to eat tough. In many areas, we are losing space to look for food. And in places where there is food, people are picking all the berries, fruits and mushrooms. There is almost nothing left to eat for us! And we need to eat too, you know. Can you imagine how a garbage bin smells like a five-star restaurant for a hungry bear? If I was so hungry I would go there too. Don’t you want to avoid people? Yes, I don’t really like humans. I rather prefer to live my life in the woods. And if there is enough food, my nephews wouldn’t go back to the village again for sure. My cousins in America showed that to these researchers over there. If there is enough food in the forests, I wouldn’t go to villages either. But there are people everywhere, they should give us some private space. But the media says that you attack people. Well yes, wouldn’t you be grumpy if you can’t even take a nap without being interrupted? I don’t like to be surprised. I’m not the typical fluffy teddy bear, so it is better if all those people leave me alone. And especially those little rats they call dogs, they working on my nerves. But attacking them, no. See it more as a warning to them, just to tell them to bugger off. What can we humans do then? You can start with wearing bear bells when you hike through the forest. Than I can hear you coming at least. And if you put your dogs on a leash, I won’t be so intimidated by those barking things. In general, just don’t come near me, and especially don’t feed me. Although I hate to say it, because free food is always welcome. Instead, just leave enough food in the forests and I will be happy. Probably still here! It is quite difficult for me to move to another place, since the forests are quickly disappearing when people cut those trees down. Now there are only isolated groups of bears in Europe, and the future does not look very bright for me. Luckily my friends in Romania are still in large numbers. I have a few thousand relatives in the Carpathian Mountains over there. 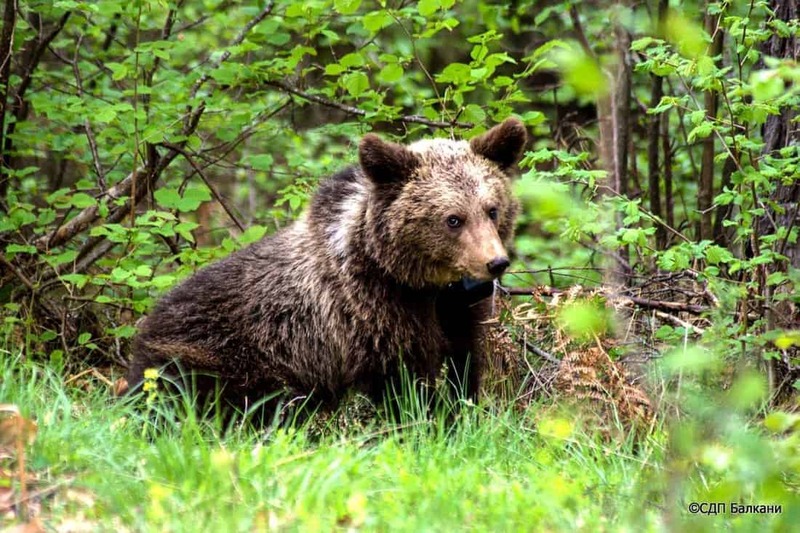 People say there are too many bears in Romania, and that they are used to humans. I’ve heard it too, that my cousins from Ceausescu’s time came from those ‘bear farms’. People claim that these bears are too comfortable around people. Well, the number of bears in Romania is often exaggerated by those so-called scientists of yours. And because you think we are with so many bears, you put your hunting quotas too high. Many of my family have been killed already, you know. And the few that came from Ceausescu’s farms and are still living, they must be grumpy old bears. That time was almost 30 years ago, I normally don’t even reach that age in the wild. Besides, do you think we liked the humans in those bear farms? They weren’t really nice to us, and the food in the ‘80s and ‘90s wasn’t that great either. I clearly prefer those fresh blueberries and strawberries every year in the forest. Now if you will excuse me, I’ve booked a spot for a 3-course meal on the next mountain slope!